One of the easiest things you can do to kill those winter blues is get outside and soak up how pretty winter can make everything. I made P get all bundled up with me and walk around downtown Jersey City. 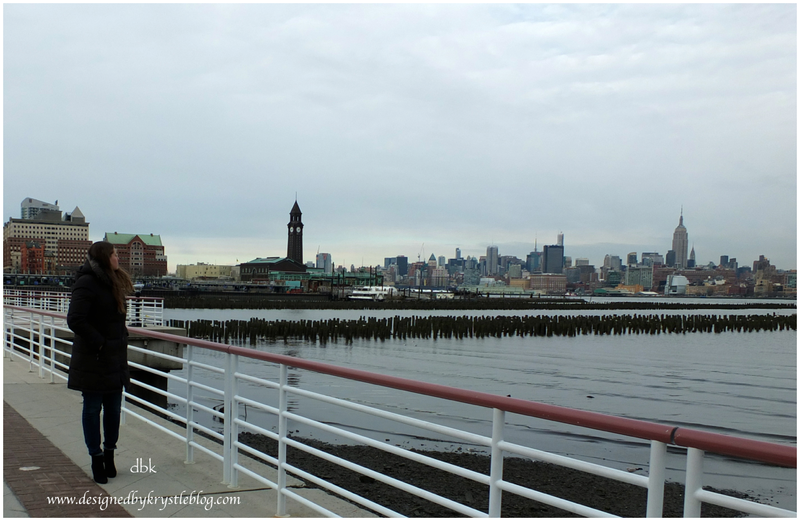 We explored the Newport area, where they have a beautiful waterfront walkway spanning from Jersey City to Hoboken. It is fun to take in the views of the local area, and you get a chance to see your downtown in a new light. Cold, but still having a good time. Favorite booties-purchased on our honeymoon in Italy. After wandering around the waterfront trail, it began to get a bit darker out and we headed over to the Grove Street area to check out some shops and restaurants. Winter walk with ice cream? Why not?! We stumbled upon this sweet little market, and I can’t wait to spend more time there. We found Porta, a sweet little spot that makes their own fresh ricotta daily. Oh and the pizza was pretty good too. Many of the shops are not pictured because I was having fun just soaking in JC at night in the winter (swoon), but I did capture a few of the places and had a bite to eat as well. What is your local city center? Is it more urban or suburban? Have you ever tried to appreciate its beauty in the winter? I strongly recommend checking it out. From my experience, everything is a bit more sparkly. There is just something about ducking into a little shop or restaurant to get away from the cold that is so perfect. I hope you all get bundled up in your winter gear and go check it out with your family!